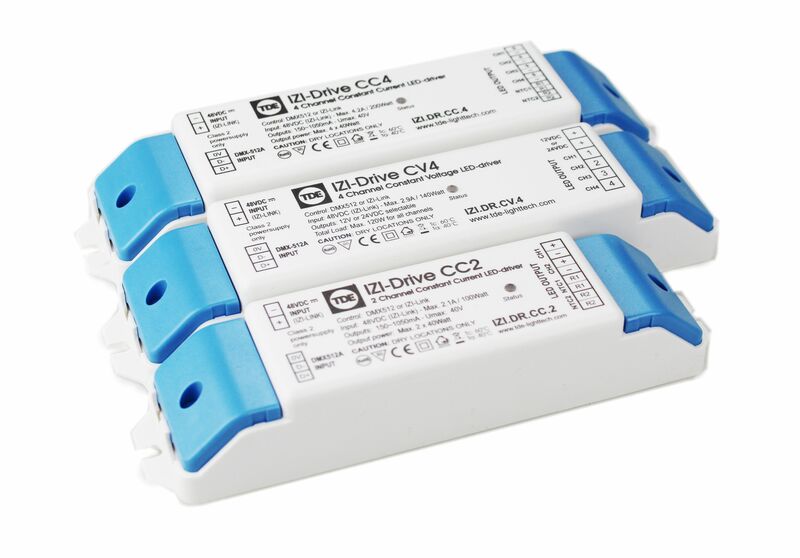 The IZI-Drive constant current LED drivers have a two channel and four channel driver, which utilises hybrid dimming allowing to dim the LED down to 0,0%. Current output is software configurable in 50mA steps ranging from 150mA to 1050mA. In addition to the constant current LED drivers the IZI-Drive range also offers a four channel constant current LED driver. Voltage output is software configurable to 12 or 24VDC.